Bitter cold temperatures can expose many so-called thermal winter work gloves for exactly what they are – retro-fitted all-season gloves crammed with cheap insulation and made using materials that actually absorb water and let cold air in. If you’re someone who works in unforgiving winter conditions for eight-plus hours a day, you’re not going to get very far without hand protection built for the weather. Keep reading on how to identify winter hand protection that works – and why it matters. Ergodyne ProFlex® Reinforced Thermal Utility Gloves feature dual-zone insulation and a reinforced palm that are built to battle the elements. Hands are the most important tools a worker has, and if not properly protected from the elements, the results can be uncomfortable at best, dangerous (for the individual and co-workers) at worst. And for project stakeholders, the loss of productivity caused by stiff, numb fingers can be particularly painful. Frostbite: We’ve all seen the images. Gnarly, swollen hands. Severe blistering. Blackened fingertips. The freezing of skin tissue can have painful consequences, and the effects can linger for life. Once damaged, that tissue will be more prone to frostbite in the future. Moreover, it’s not just the sub-zero air temps and wind chills workers need to protect themselves against. The handling of metal tools and machinery encourages a rapid transfer of heat from hands, leaving them even more susceptible to the dangers of frostbite. Increased accidents: When skilled hands go cold and clumsy, things get dicey. Lacking the dexterity and precision needed to do the job effectively and safely, frigid fingers start losing their grip on any number of tasks, from maintaining a grasp on a ladder to holding on to objects that can cause damage to people and property, if dropped. Reduced productivity: Time is money. And time spent trying to keep hands warm is time spent not being productive. Same goes for time spent recovering dropped objects. Or worse yet, stopping work to assess the damage done by or to those dropped objects. With the above in mind, it’s clear that keeping hands warm, dry and nimble through the cold, wet bluster of winter work should be the top priority of any winter work glove. 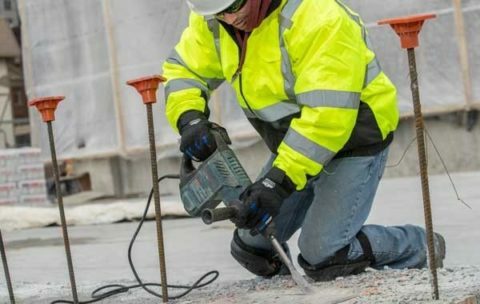 But with so many options available – and nearly all of them claiming insulating and waterproof property of some type – how do you go about choosing a pair of gloves that will provide the protection needed to stay productive through bitter temps? The best winter work gloves are built for protection from the elements first, then enhanced with specific features that carefully consider the needs of the worker. But here’s the thing: many winter work gloves just aren’t built that way. They’re merely existing work glove designs retrofitted for winter protection, and the results are typically lackluster. 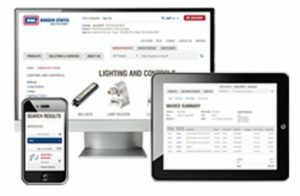 Simply put, the retrofit design usually spells retrograde performance. Two of the biggest faults of gloves built in this manner are found in the fit and materials. As you can imagine, cramming insulation into an existing design might have a negative effect on how a glove fits. And an improper fit – as with any piece of personal protection equipment (PPE) – reduces the level of protection it’s meant to provide. Meanwhile, materials that might do the job wonderfully in July become part of the problem in the middle of January. Traditional spandex, for example, is a popular material used in work gloves because of its lightweight, flexible, resilient, and breathable properties. All good things, right? But in the winter, that same material also happens to absorb water and let cold air in. Not a great combo when you’re trying to keep hands warm and ready to work. Other popular work glove materials – PVC palm reinforcements, for example – stiffen and freeze up when the temp’s dip, making it hard to maintain dexterity. Outer shell: Consider it your first line of defense. Ripstop nylon with a durable water repellent (DWR) finish not only fends off the wind and the wet stuff, it will stay pliable in plummeting temps. Insulation: There’s cheap stuff, and there’s good stuff. You know the names of the industry leaders. But just as important as the quality of insulation is how it’s applied. To maintain warmth and dexterity, look for gloves with dual-zone insulation that use a heavier, higher-loft insulation on the back of the hand, and thinner, lower-weight insulation on the palm. Waterproofing: In addition to a water repellent finish on the outer shell, serious winter work gloves are built with a waterproof membrane to bolster protection. This additional layer shuts out moisture from the outside while allowing sweat to escape. The most effective design is the one that bonds the membrane to the outer shell. 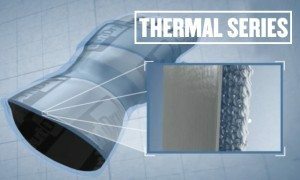 This eliminates the “gap” that is created between standard membrane inserts and a glove’s outer shell, which can collect water and cold air. Fit: A proper fit is the key to optimum performance of any piece of PPE, and gloves are no different. Gloves that are too big will hinder dexterity, while gloves that are sized too small will constrict movement and stifle airflow. Especially important for winter work gloves is a cuff and closure that will keep in the warmth and lock out the cold, such as an extended neoprene cuff with hook-and-loop closure or a gauntlet cuff with an internal elastic cord. Tech-friendly: In today’s workplace, the mobile device has become simply another tool. Look for thermal gloves that employ a touch screen option to allow for swiping and answering calls without the need to remove the glove to do so. You might not type the great American novel while wearing your winter glove, but the ability to perform basic mobile device tasks without exposing hands to the elements can be the difference between staying on track or stopping to warm up. Again, when it comes to winter work gloves, look for gloves built to deal with the elements first. Because in the end, if a worker’s hands aren’t warm, dry and ready to work, nothing else is really going to matter all that much. Electrical panel inspection safety tips for every electricianBorder States wishes you a happy New Year!